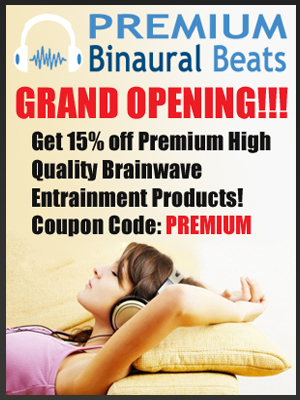 The binaural beat uses a base frequency of 144.72 Hz; this frequency Supports strength of will and focused energy and improves ones ability for achievement. The binaural frequencies begin at 4 Hz for one minute and then over the next minute raise to 20 Hz where the frequencies are played for 8 minutes. Over the next minute the frequencies drop back to 4 Hz and play for 9 minutes. The frequencies then drop to 1.5 Hz over the next minute where they continue to play for another 9 minutes. The audio takes the listener back up to 20 Hz and plays for an additional 9 minutes. The isochronic uses a base frequency of 424 Hz a frequency used to treat fatigue; and plays at a 4 Hz pulse throughout the audio. 1.5 Hz – Those individuals whose ailments have manifested into the fourth stage of Chronic Fatigue, where some form of disease is apparent, experienced a release from the negative sensation of their symptoms when moved into 1.5HZ.